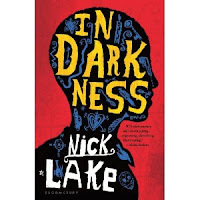 Bloomsbury is proud to be the global publisher of In Darkness, a stunning tour-de-force set in the aftermath of a devastating earthquake. "Shorty" is a Haitian boy trapped in the ruins of a hospital when the earth explodes around him. Surrounded by lifeless bodies and growing desperately weak from lack of food and water, death seems imminent. Yet as Shorty waits in darkness for a rescue that may never come, he becomes aware of another presence, one reaching out to him across two hundred years of history. It is the presence of slave and revolutionary leader Toussaint L'Ouverture, whose life was marred by violence, and whose own end came in darkness. What unites a child of the slums with the man who would shake a troubled country out of slavery? Is it the darkness they share . . . or is it hope? --and I assumed it would be some blend of inspirational, informative and important, even if a little sentimental. In Darkness, while it is inspirational, informative and important, it is the furthest thing from sentimental. It is raw, and it is gripping. The harrowing circumstances of Haiti past and Haiti present are not sugar-coated, nor are they sensationalized. They are simply the reality of the story (and of history) and a part of the fabric of the characters' lives. The characters, by the way, are so alive on the page that I developed an attachment to them within the first few chapters. Both Shorty and Toussaint, the two main characters, are complicated. Both have blood on their hands, but both also have stories that evoke sympathy and force us to question what we would do if we were in similar circumstances. The storyline itself is riveting. Once I got a few chapters into the book and got situated in the point-of-view, which shifts each chapter from Haiti past with Toussaint to Haiti present with Shorty, I did not want to put the book down. I was fully vested in the characters and their circumstances, and I needed to know what would happen next. In Darkness is an eye-opener. I really had no idea of Haiti's blood-stained past, though considering her present, I should have realized. But the real take-home for me, I think, is that I hadn't thought about it. Haiti is one of our nearest neighbors, and I am largely unaware of what is happening there. This book is a work of fiction, but much in it is true, and, without being didactic, it has opened my eyes to a not-so-far-away place where great atrocities have and still happen. 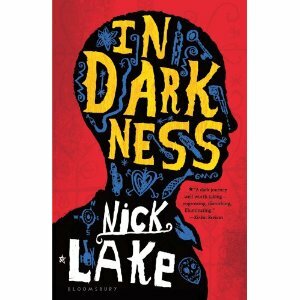 In Darkness is a good read. It's heavy, but the reading itself is light. It's fast, and even with the shifts in point-of-view, it's easy to track along. In spite of its serious topic, it is entertaining. But along with capturing our imaginations, it has the capacity to make us better-informed global citizens as well. In Darkness will be released on January 17, 2012. I hope you'll read it. Hey, Janine! Missed you at Kate Walton's epic signing. I've looked at the ARC for this a couple of times and thought oh, I should read this. Now you're making me REALLY want to read it. And yes, great atrocities still happen in Haiti. People there are still cleaning up from the aftereffects of that terrible earthquake. So it's helpful to shine a light on it with this book. Wow. I got chills just reading your review. Where I work, the aunt of one of our managers went to Haiti after that devastating earthquake a few years ago as a triage nurse. The pictures she bought back were devastating, not just of the carnage in the wake of the quake, but of the poverty and absolute bleak hopelessness a lot of these people struggle to survive every single day. I'm definitely adding this one to my TBR list. Hi Joanne. Hi Lori. I'm glad you're inspired to read the book--Do! Do! Do! What I really love about this book is that it shines light on serious issues within Haiti, including government corruption, but still maintains an honest storyline and characterization--it isn't a "message" book, ya know? Lori, I'm thankful for people like your colleague's aunt who have relevant skills and willing hears. If anyone is interested in relief work for Haiti or other devastated places, there are things you can do from right where you sit at home. "Soles for Souls" is an organization that my family (namely my step-mom) has gotten involved with over the last couple years. It's work is to provide people with shoes. Is a small thing that can make a big difference. As we're involved with the organization, I can give it a personal endorsement. Anyway, I hope you enjoy the book. When you read it, do let me know your thoughts!